Aviom, manufacturer of the A-16II Personal Mixer, recently announced the addition of its next generation personal mixer, the A360 Personal Mixer, to the company product line. Coinciding with this product introduction, the company has launched a new website. 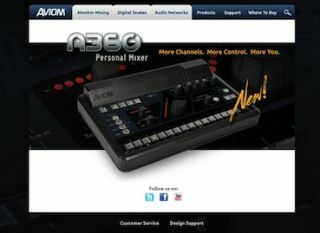 The new site not only supports the addition of the A360 Personal Mixer to the product line but also provides improved navigation and a focused application approach to educating visitors about Aviom’s products.